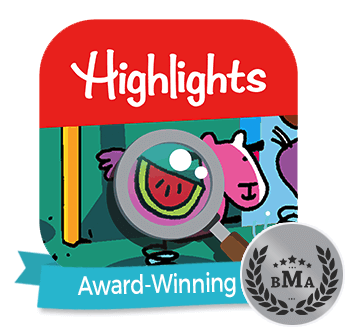 For more than 70 years, Highlights for Children has been delighting kids of all ages! Wouldn't you like to join us? We are proud to offer a remarkable selection of magazines, merchandise and other gifts that give children FUN WITH A PURPOSE™. We provide parents and teachers with the trusted resources to make learning fun for every child. 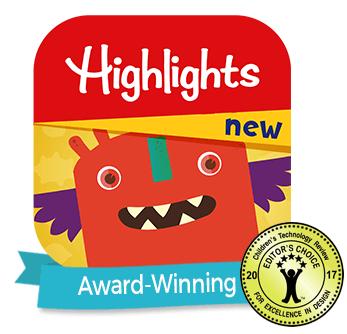 All of our quality products have been thoroughly tested and approved by Highlights for Children editors, so you know that they are only the best. When you join our affiliate network, you will receive referral fees for sales of Highlights products generated from your web site. So hop on board with Highlights for Children, put a smile on your customers' faces today, and join our affiliate program on Commission Junction! Earn commission on referred sales for all products, including magazines, clubs, toys, and merchandise. Highlights knows that sometimes customers do not make purchases right away. That's why we enable a cookie for that visitor, so you will get the credit if they make a purchase within 30 days. Our affiliate marketing partner, Commission Junction, will track all affiliate activity and provide you with resources to increase the success of your program. We’ve teamed up with the Commission Junction network to provide you with best in class tracking and payment solutions so you can monitor your site’s traffic, conversions, and monthly commission statements. The Commission Junction Affiliate Network houses all of the Highlights Affiliate Program’s creative material for you to use on your site. All creative and tracking codes are provided for you on the Commission Junction Network Affiliate Interface. All you have to do is copy and paste the code to your site. Feel free to contact our affiliate coordinator at lcarr@cj.com or kcoyle2@cj.com with any questions. 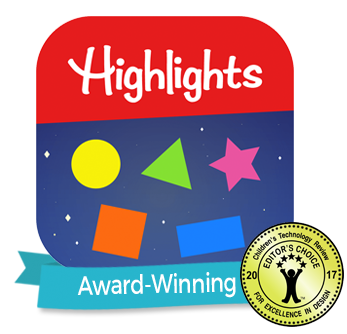 Highlights for Children is a trusted resource for parents and teachers, and offers powerful brand recognition. 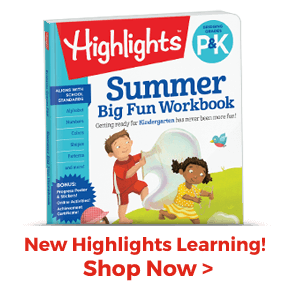 Customers already know and love Highlights for our Fun with a Purpose magazines, puzzle book clubs and fun-filled merchandise. Your customers will get the quality product and impeccable service they deserve with Highlights. We believe that shopping with Highlights should be a fun and positive experience. If, for any reason, your customers are not happy and wish to return an item, they can easily and conveniently do so. If you have a website that is visited by moms, dads, grandparents, teachers, kids or anyone else looking for family fun, you can profit by linking to Highlights for Children. Each time your visitor clicks on a Highlights link on your site and makes a purchase, you earn a referral fee! It's quick, easy and profitable. It's easy, and it's free! When you become a Highlights affiliate, you will have the right to market our products through an online affiliate channel. This gives you a distinct advantage over other competitors to utilize our notable consumer base and add value and content to your site. Highlights offers a number of great affiliate incentives and consumer promotions that will keep your program fresh and successful. Our affiliate marketing partner, Commission Junction, offers the resources and tools you need to manage your program and make it a success. How does the Highlights affiliate program work? Highlights will ask that you register with Commission Junction, our affiliate program management service. After your application has been approved, you will receive an e-mail containing your username and password, and detailed instructions on how to begin pulling our links and text. Highlights will provide you with all of the graphics, links and marketing support you will need. Each time your visitor clicks on a Highlights link on your site and makes a purchase, you will earn a referral fee. How are orders tracked and credited to my account? All Highlights' links and banners contain a tracking code. When your visitor clicks on the Highlights link on your site and makes a purchase, you will receive a commission. Commission Junction tracks all transactions and click-throughs for your site. This information can be immediately accessed through your Commission Junction account. Nothing. It is absolutely free to join our program. Do I have to build an online store? No. You will be provided with banners and text links for Highlights promotions and products. What commission does Highlights offer? We offer 30 return days, so if your customer clicks through to Highlights and does not buy anything until a few days later, you will still receive credit for that sale. Commission Junction will pay each affiliate monthly. All activity can be tracked through Commission Junction.